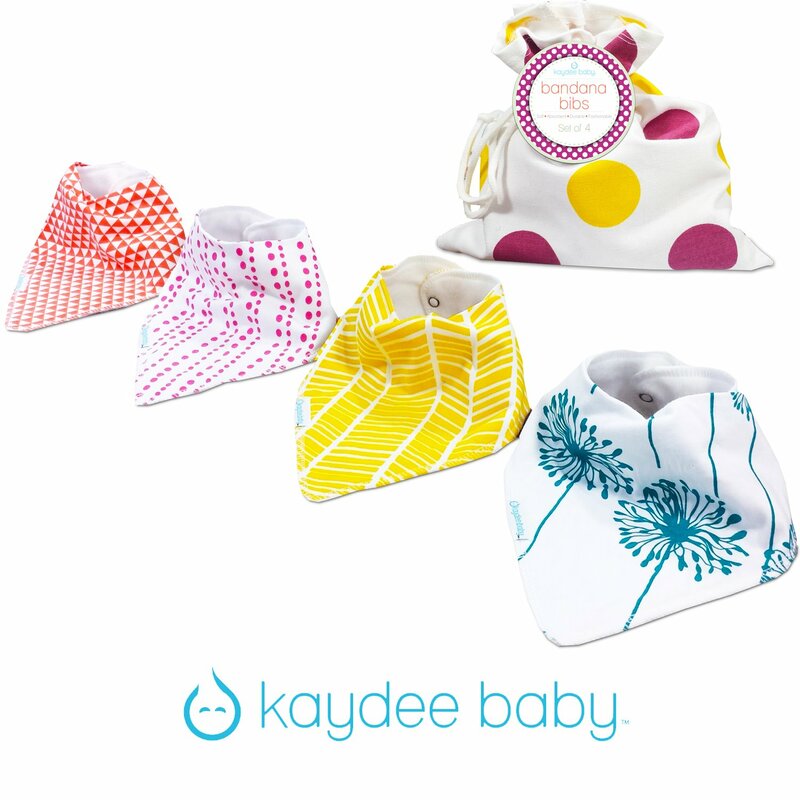 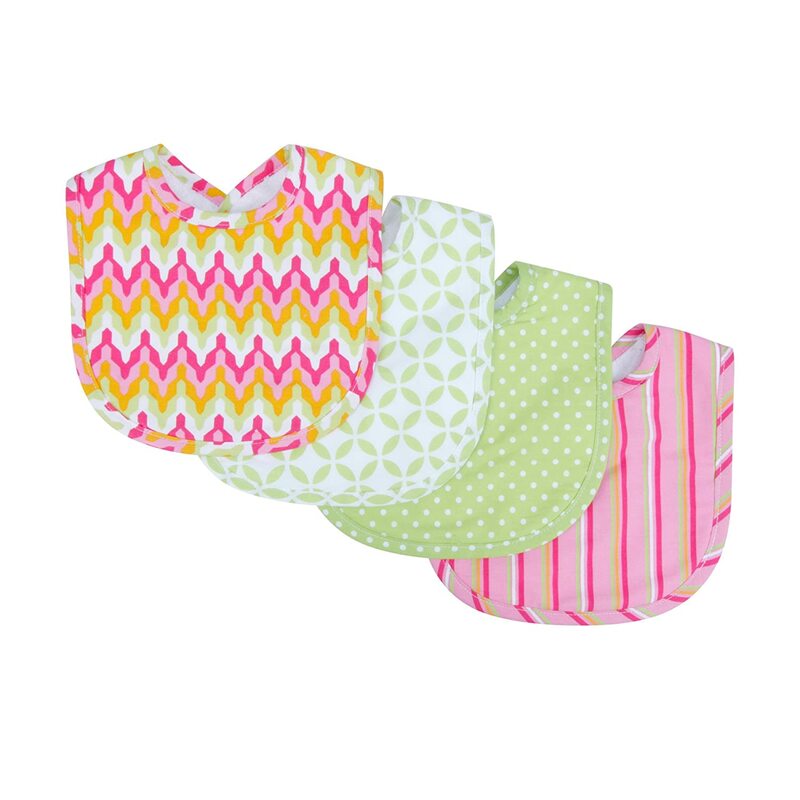 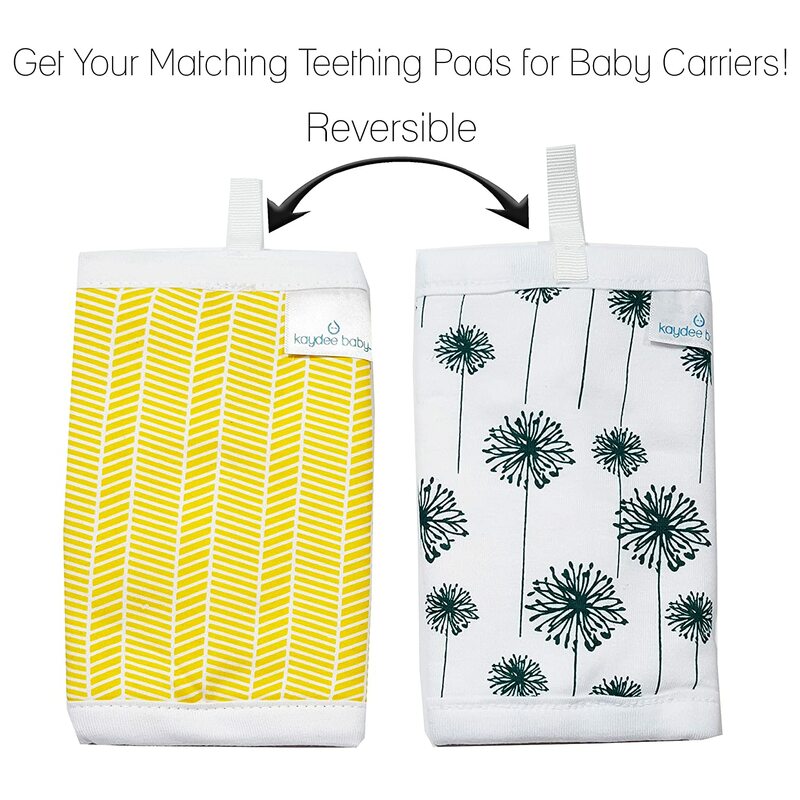 FREE GIFT BAG INCLUDED - Kaydee Baby Bibs are Super Fun and Hip! 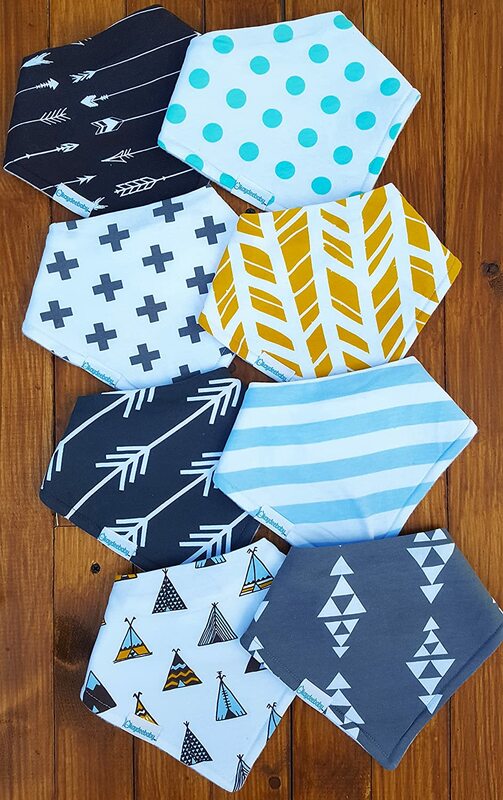 Your Baby will Dress in Style with our Unique Designs. 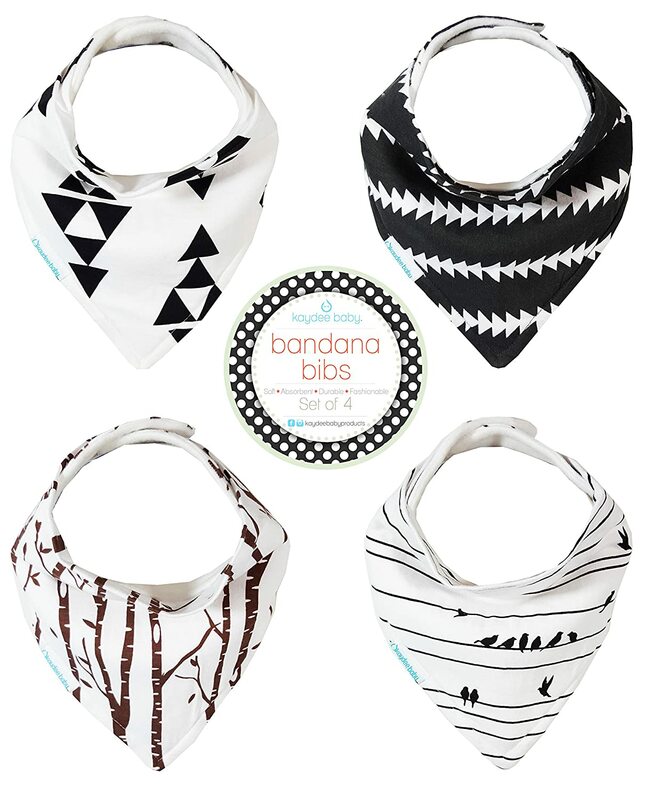 Our Set of 4 Includes Feathers, Plus white on grey, Arrows and Mulit-Colored Triangles. 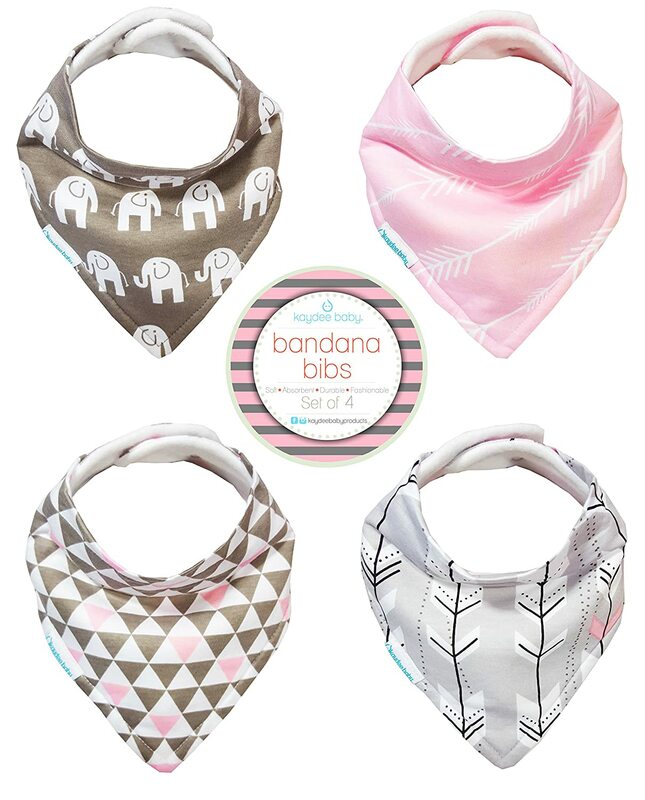 These are the perfect accessory to any baby girl outfit with the added bonus of protecting their clothes. 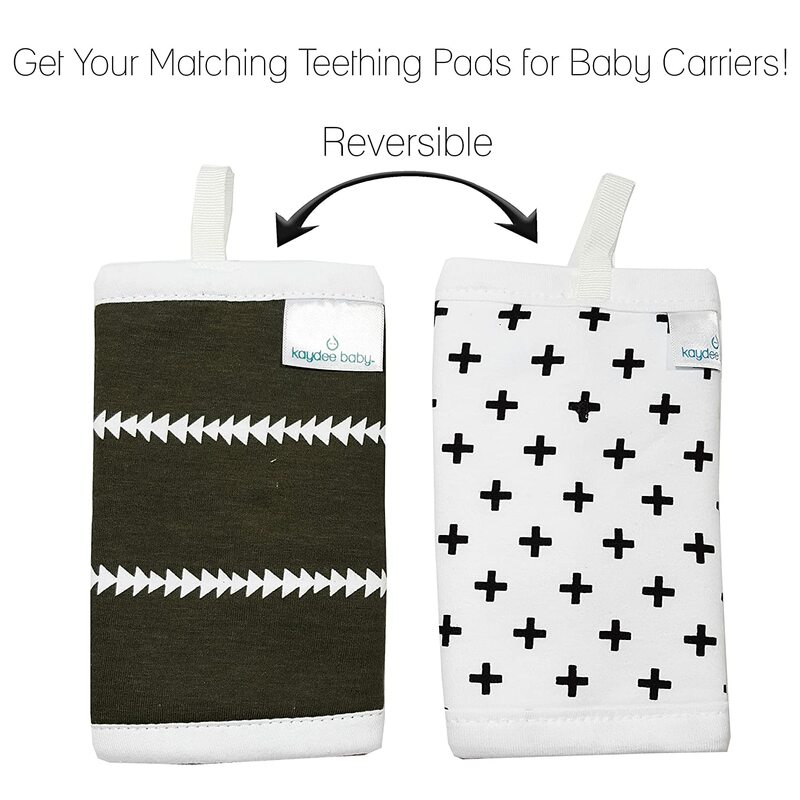 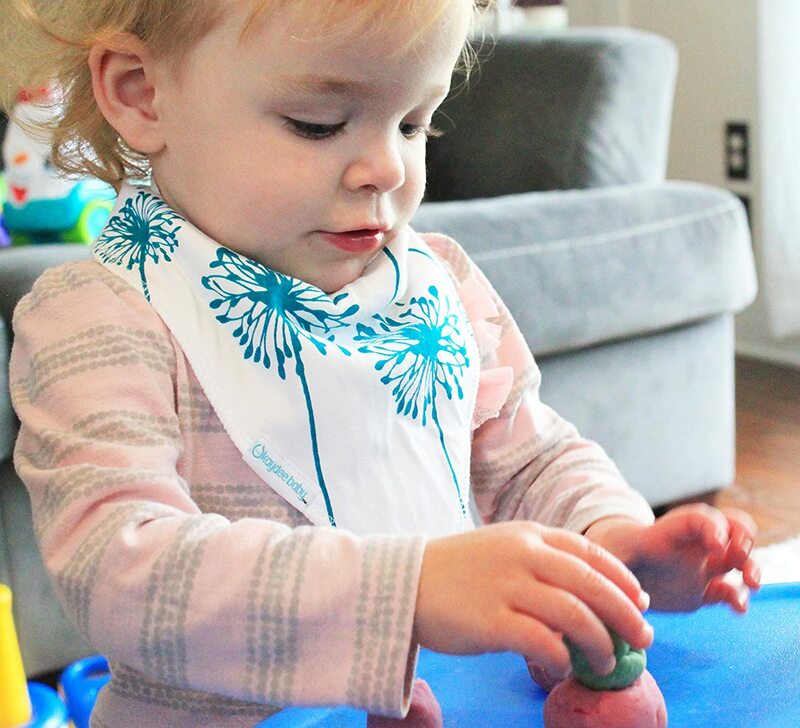 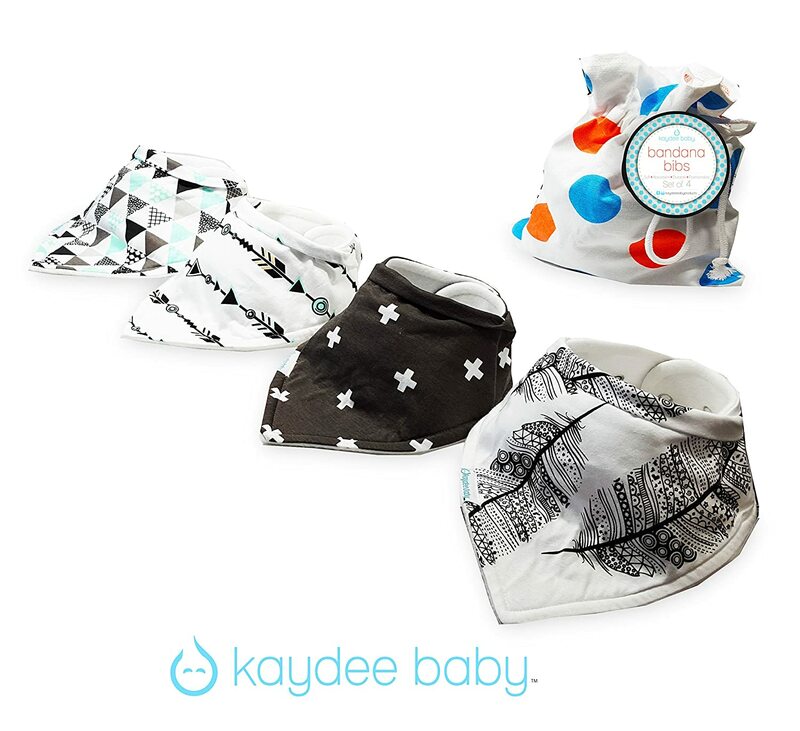 EASY SNAPS ENSURE BIB STAYS ON - Kaydee Baby Bibs come with 2 Nickle-Free Adjustable Snaps For Growing Babies between 3 and 24 Months. 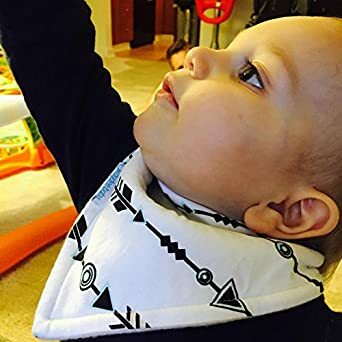 They Stay on Even While Baby is Playing Freely. 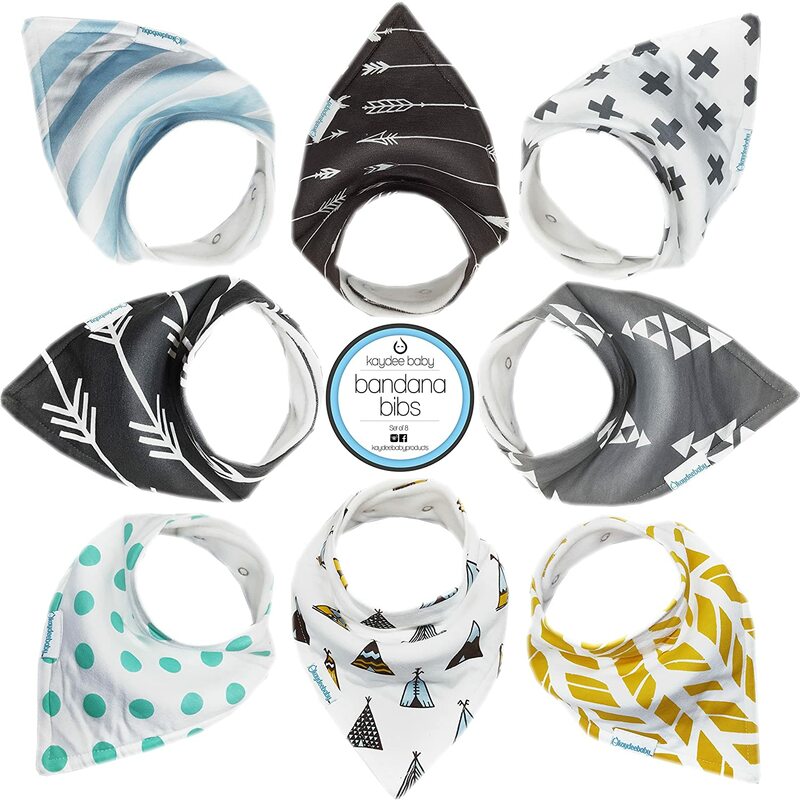 These are a great alternative to velcro straps which are easy to pull off and ruin clothes in the wash. 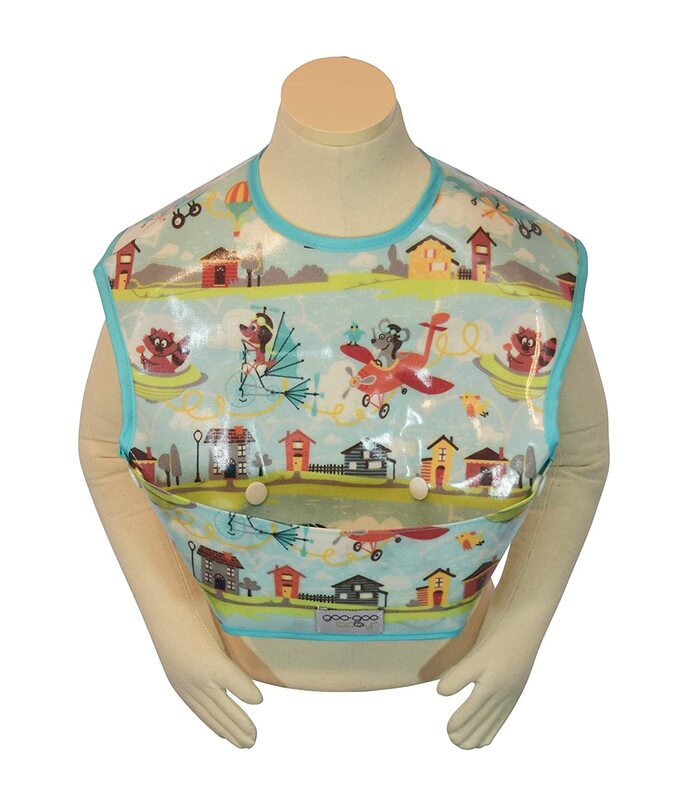 Washing machine safe. 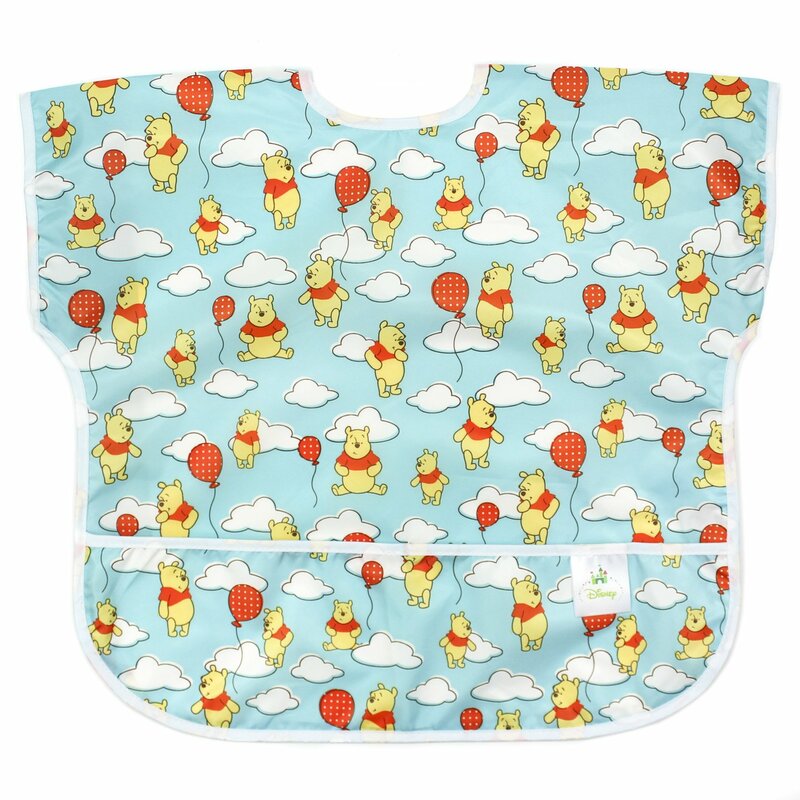 Keeps shape after wash! 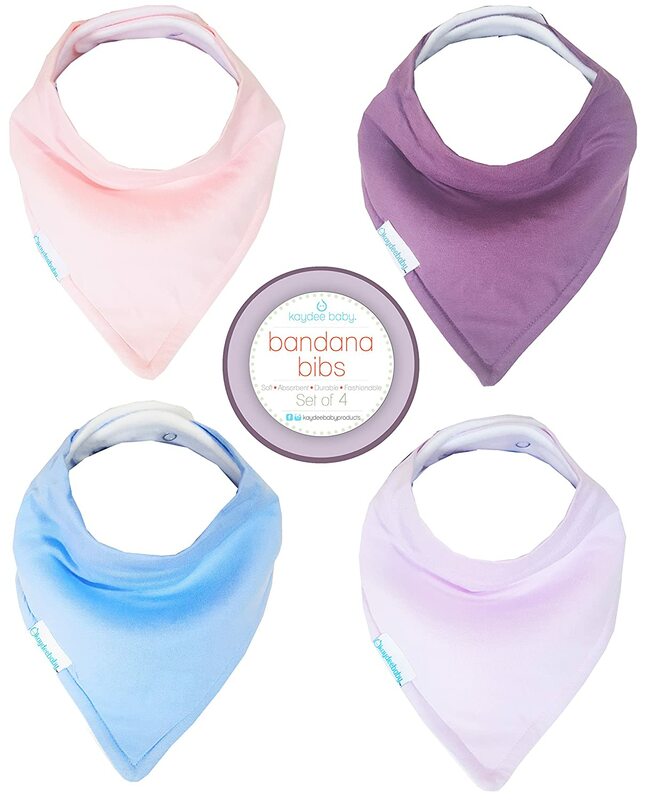 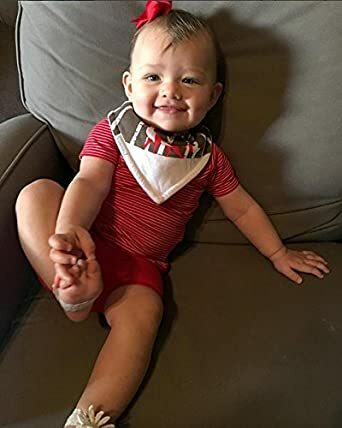 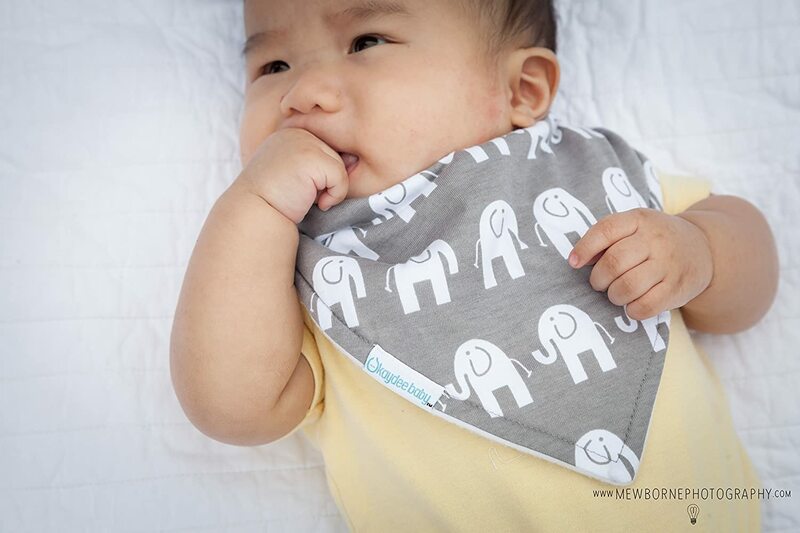 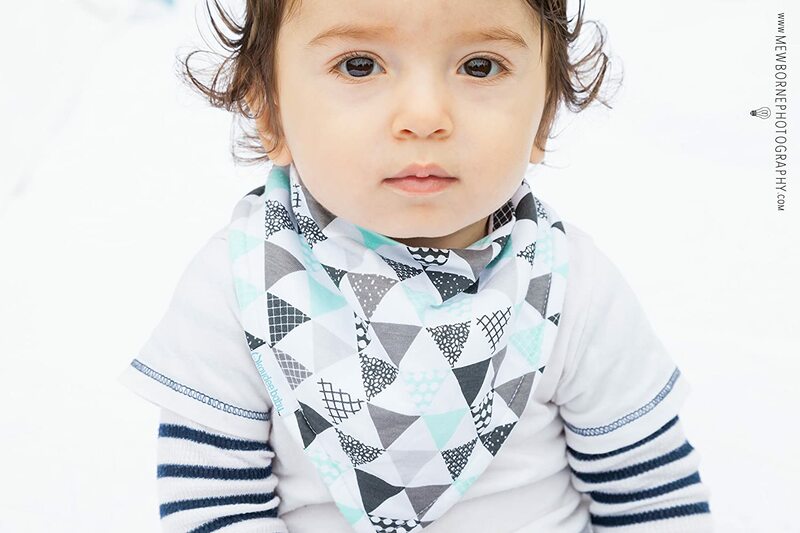 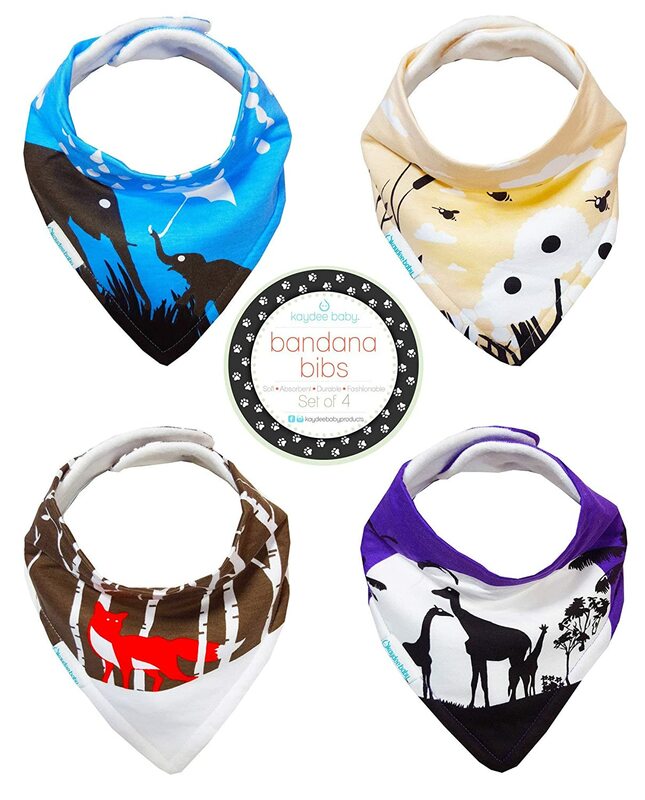 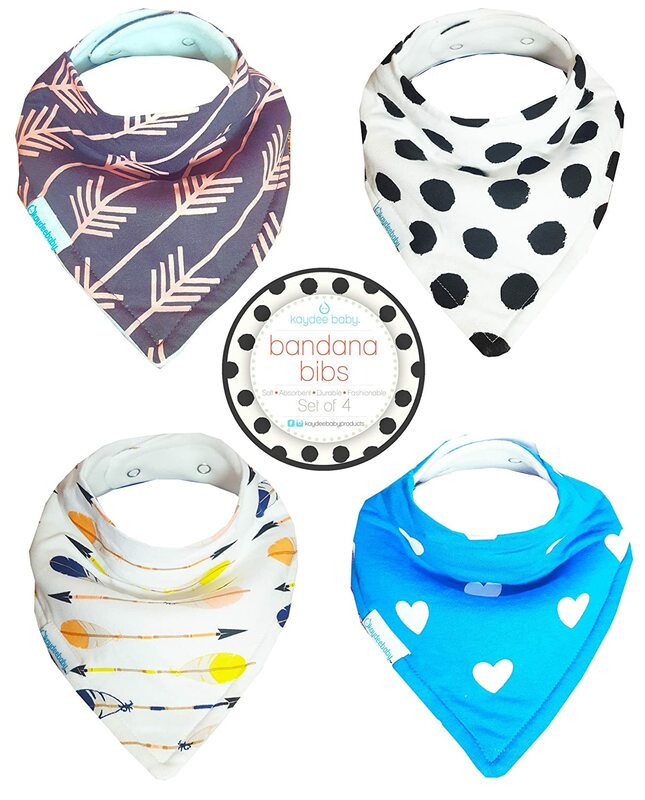 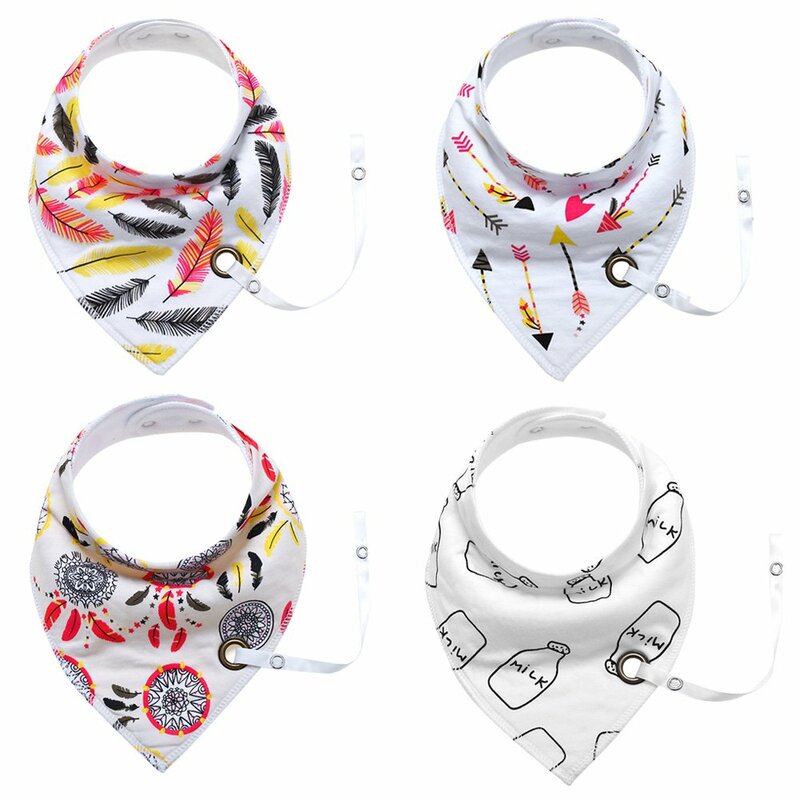 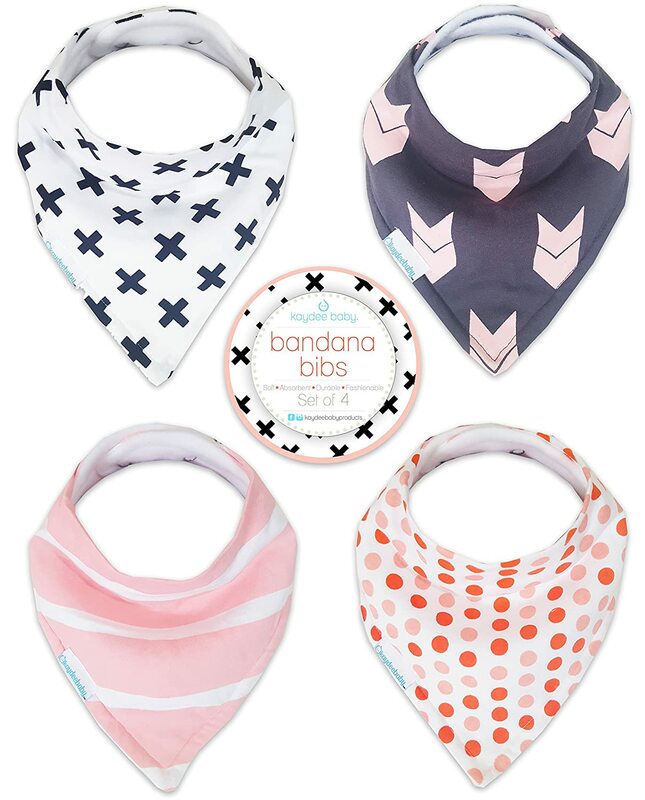 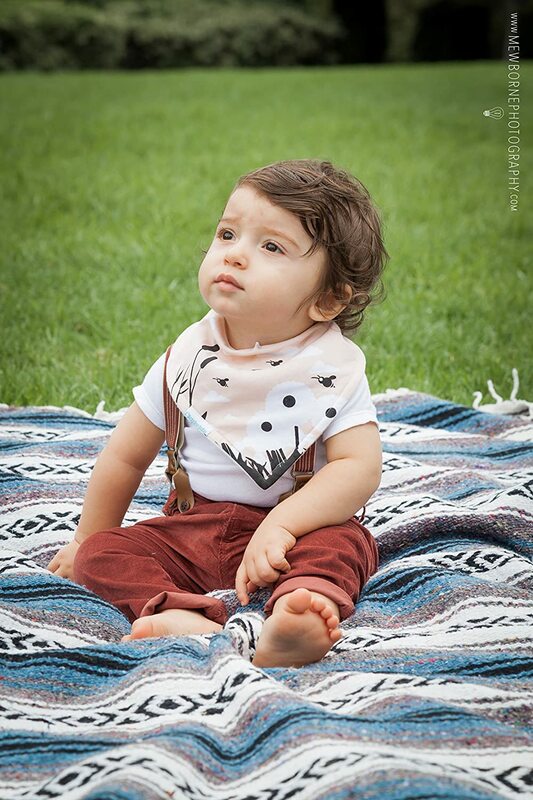 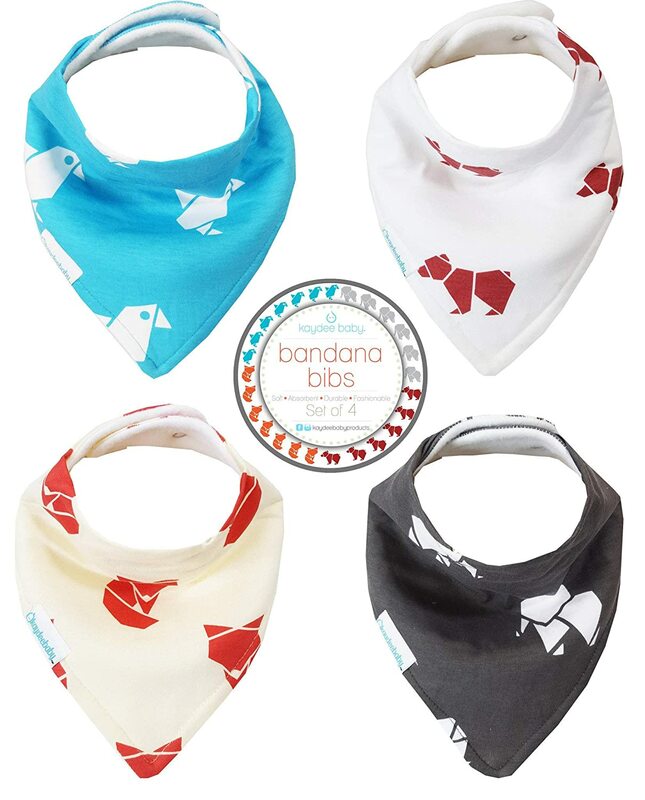 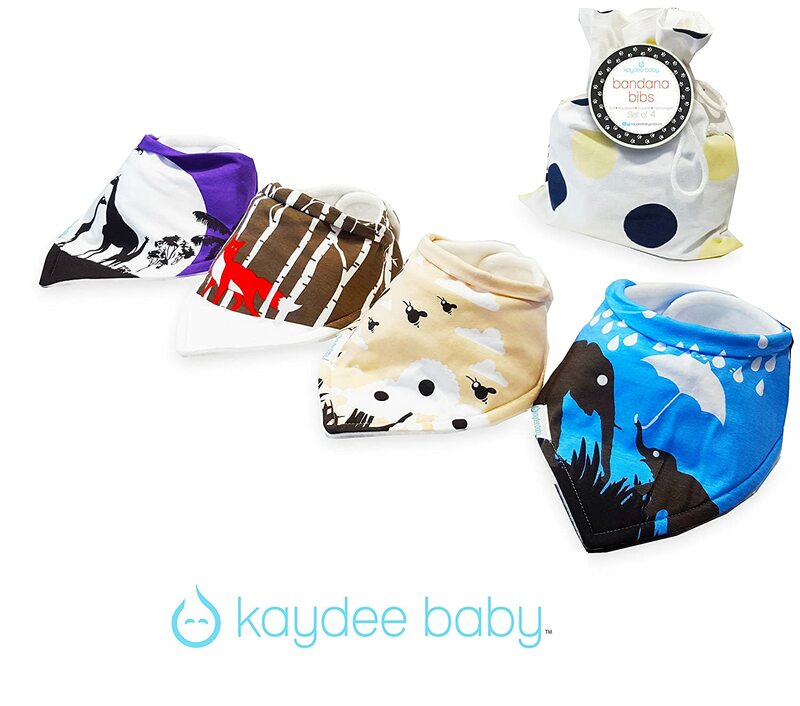 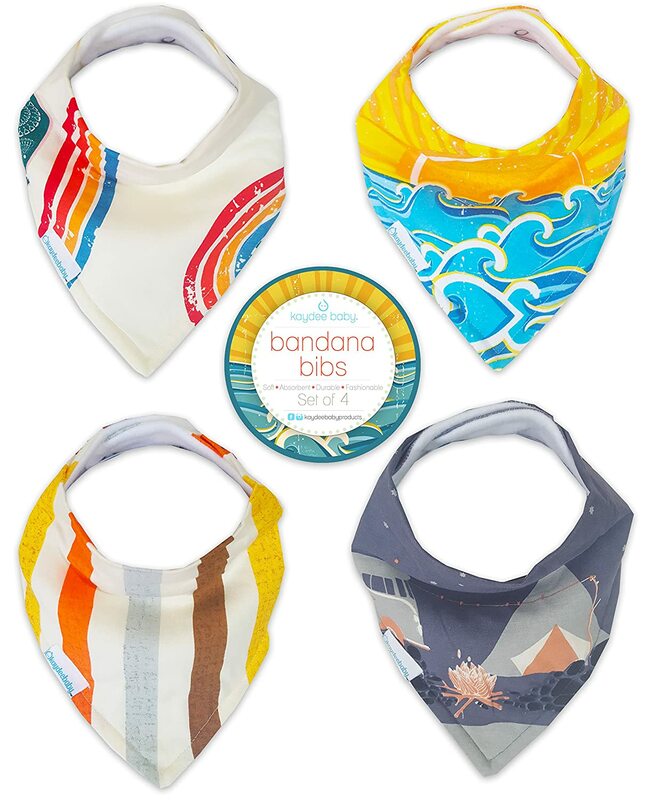 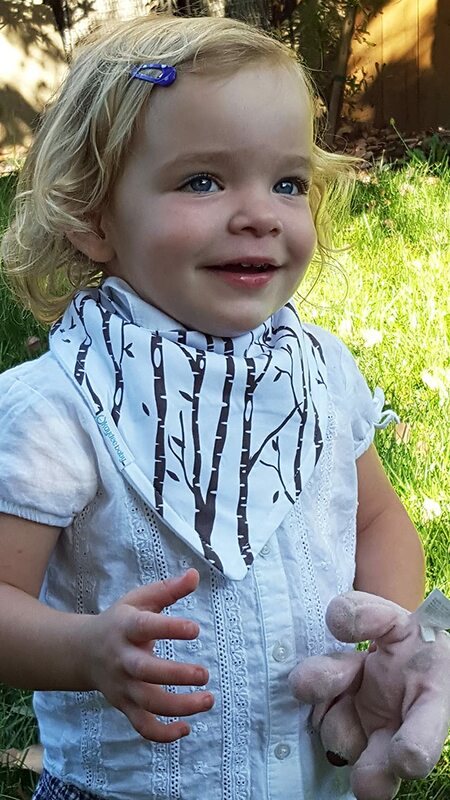 BACKED BY THE KAYDEE BABY PRODUCTS GUARANTEE - We guarantee you will love the our bandana drool bibs, and if you aren't absolutely satisfied, return it within 30 days for a full refund, no questions asked. 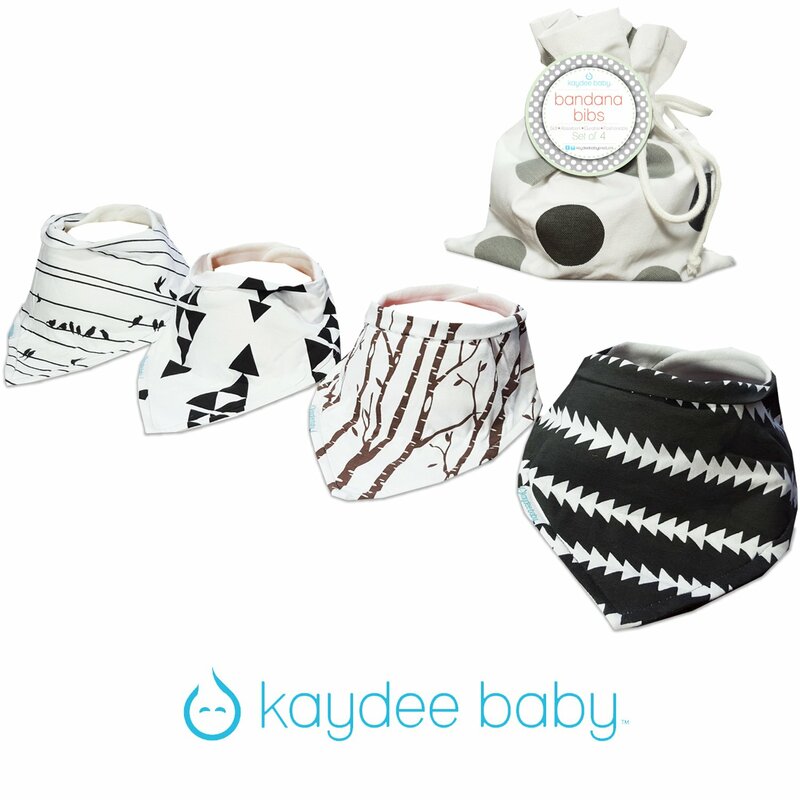 UNIQUE GIFT - Kaydee Baby Bibs make for a Unique and Fun Gift! 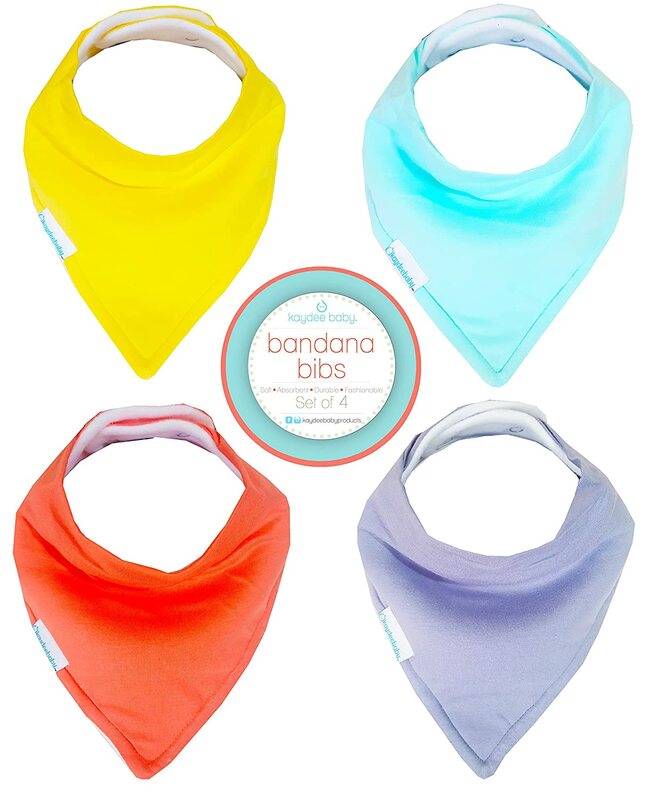 A Must Have for Baby Showers, Birthdays, Christmas and Any Occasion! 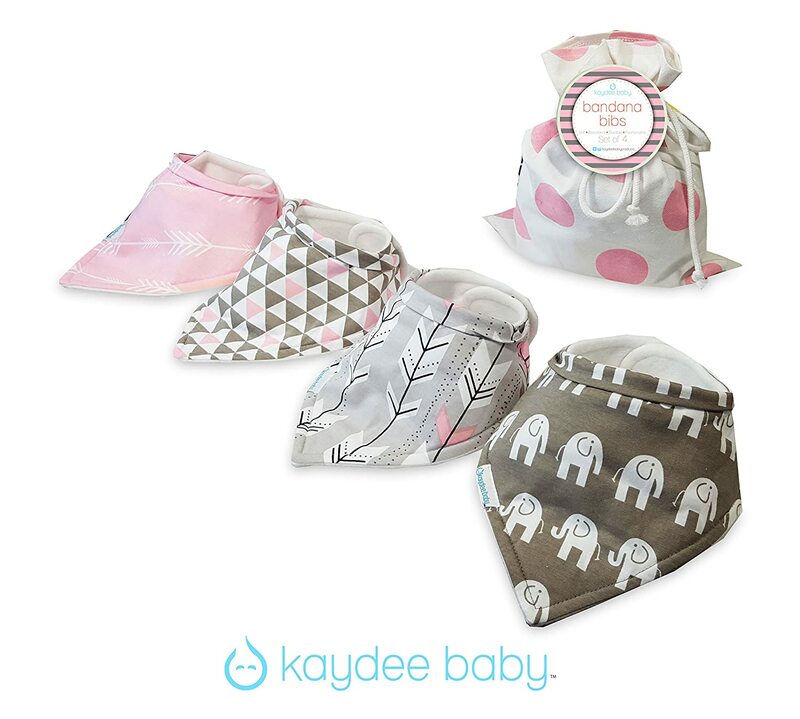 Perfect Gift Basket Set! 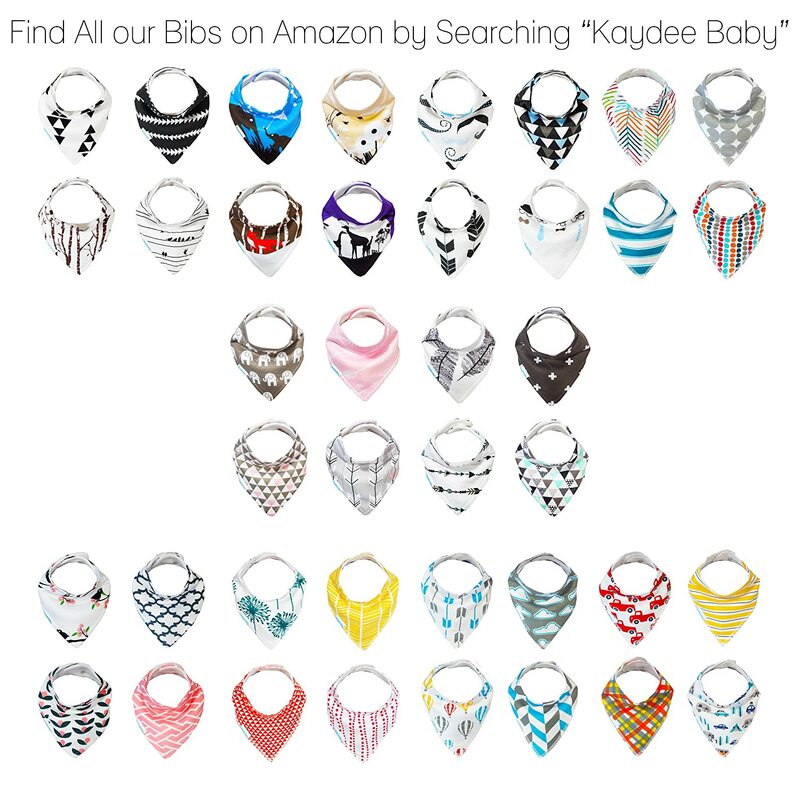 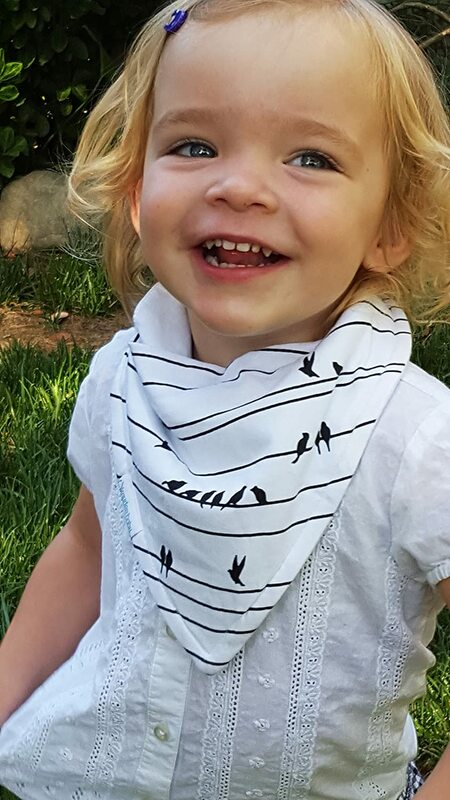 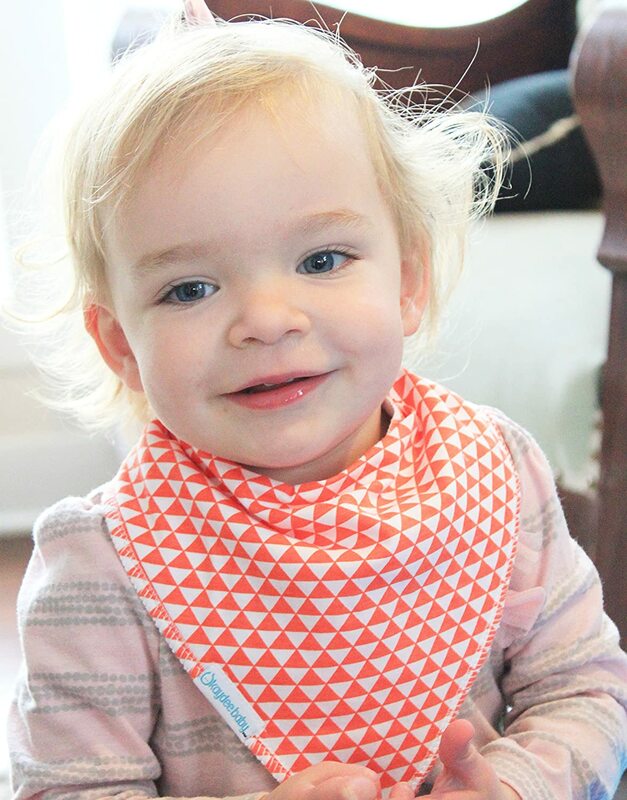 Mothers everywhere are raving about Kaydee Baby Bandana bibs. 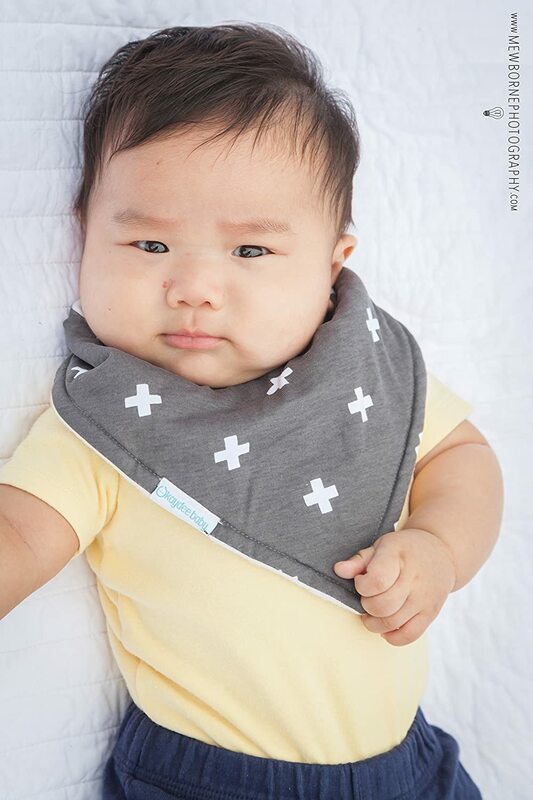 Fun, affordable, adorable and serve their purpose well. 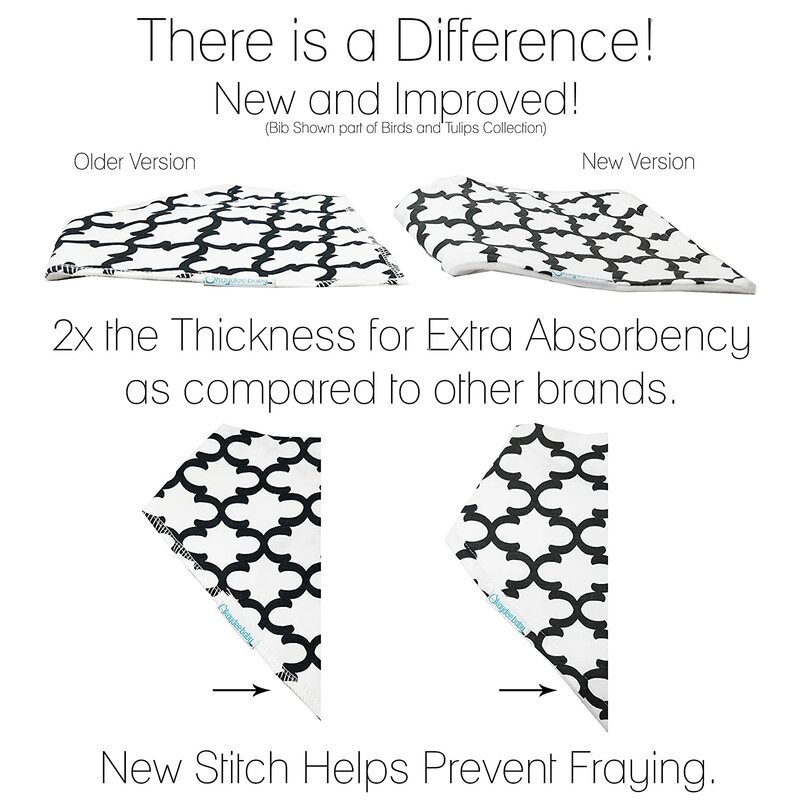 Tired of wet clothes and constant wardrobe changes? 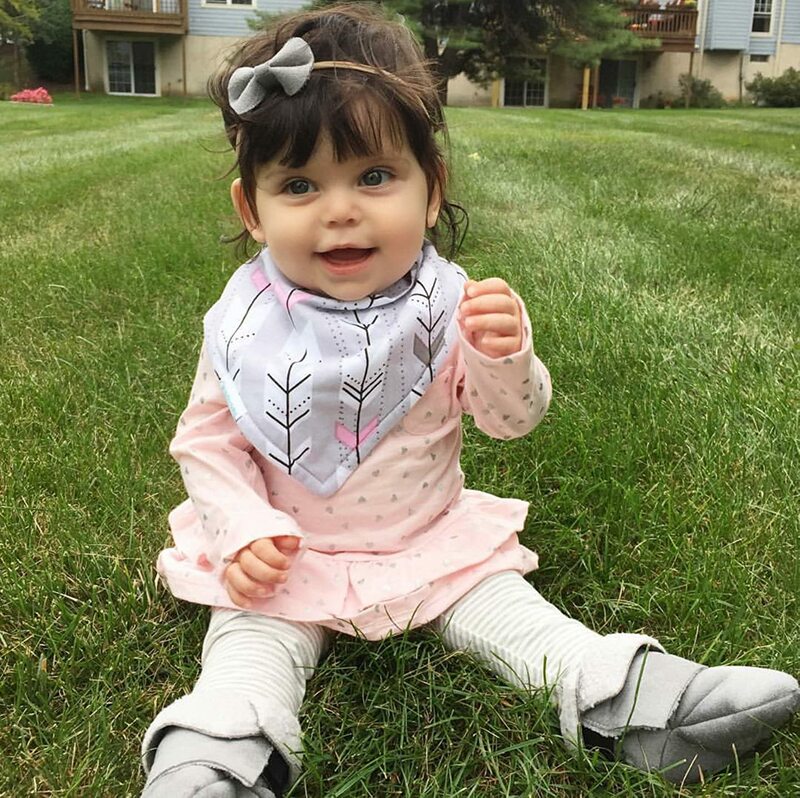 Had the PERFECT outfit picked out only to have to change it 5 minutes later due to drool and dribble? 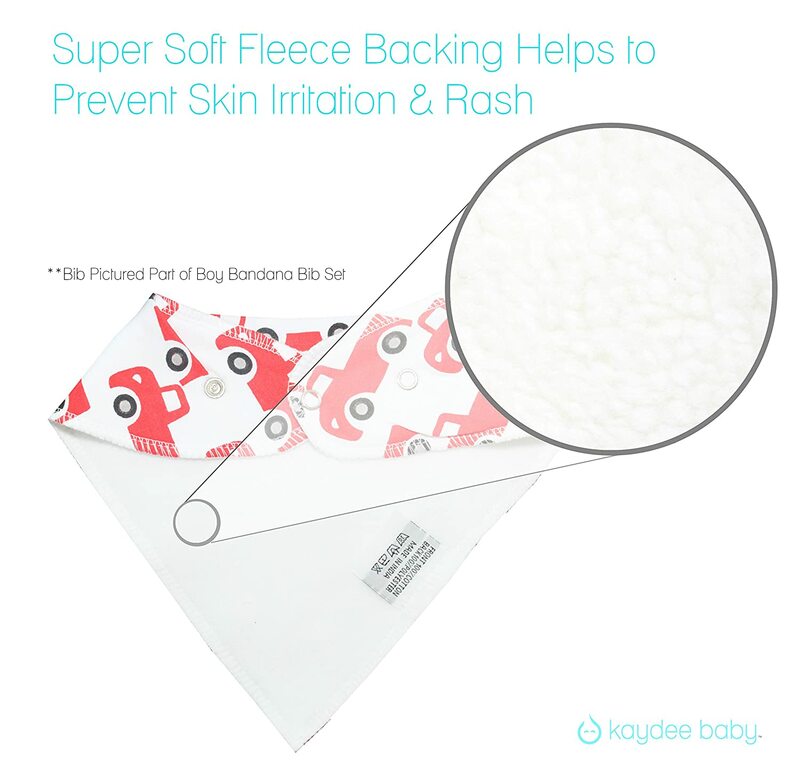 Does your baby suffer from rashes as a result of having wet clothes? 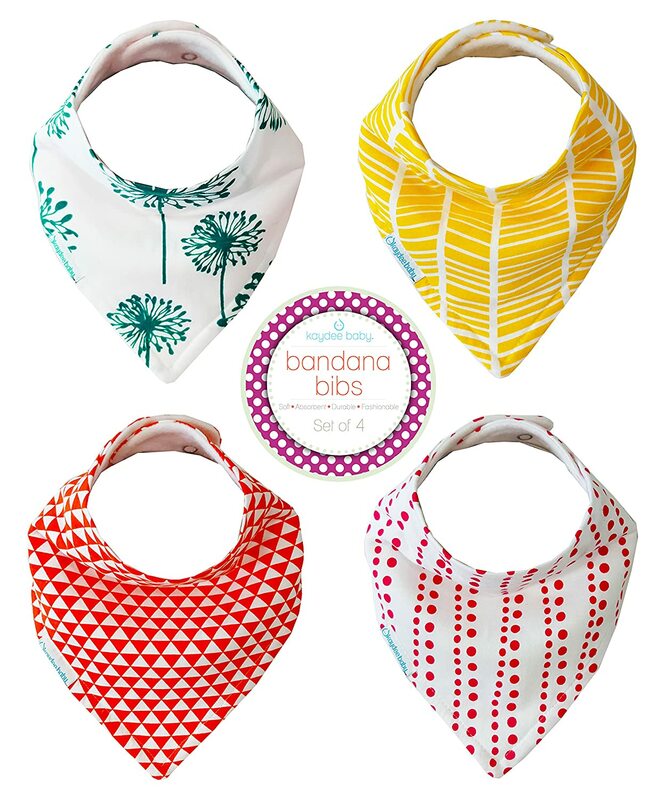 Bored with unattractive oversize plastic bibs? 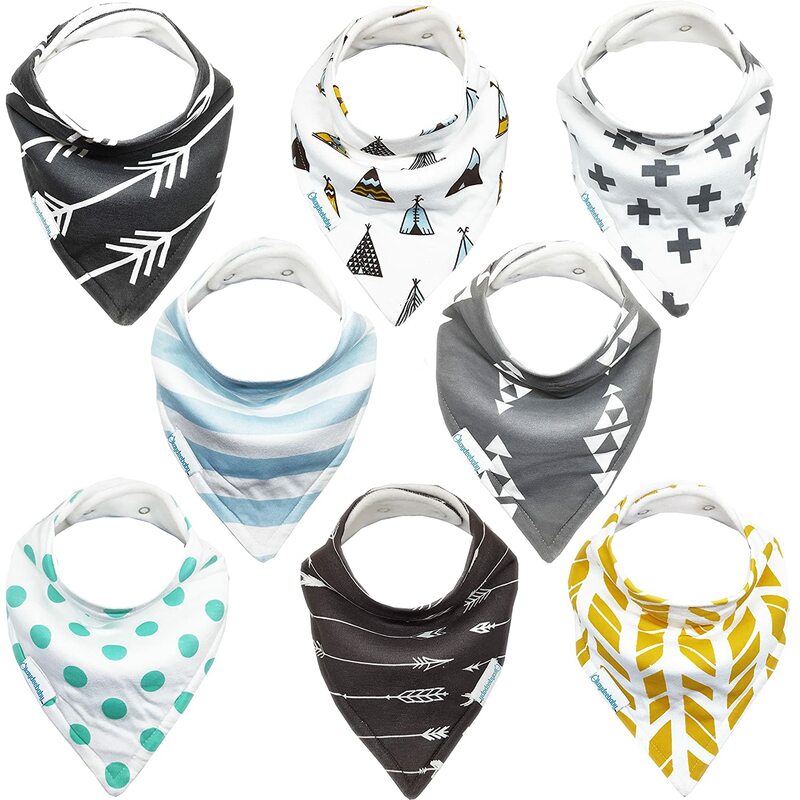 Looking for something hip and trendy? 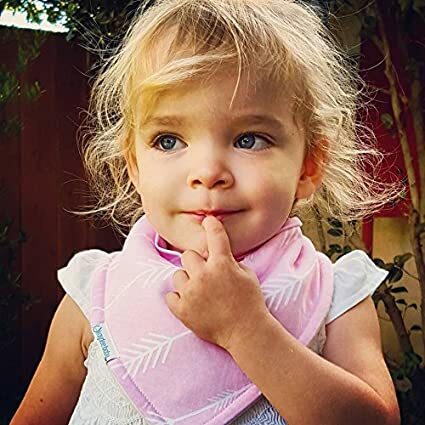 has the solution to all of these problems! 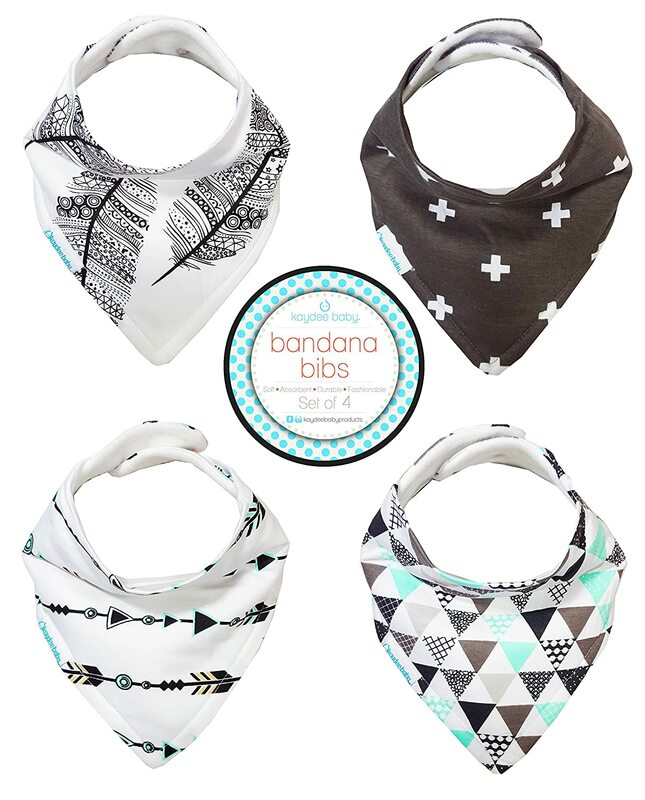 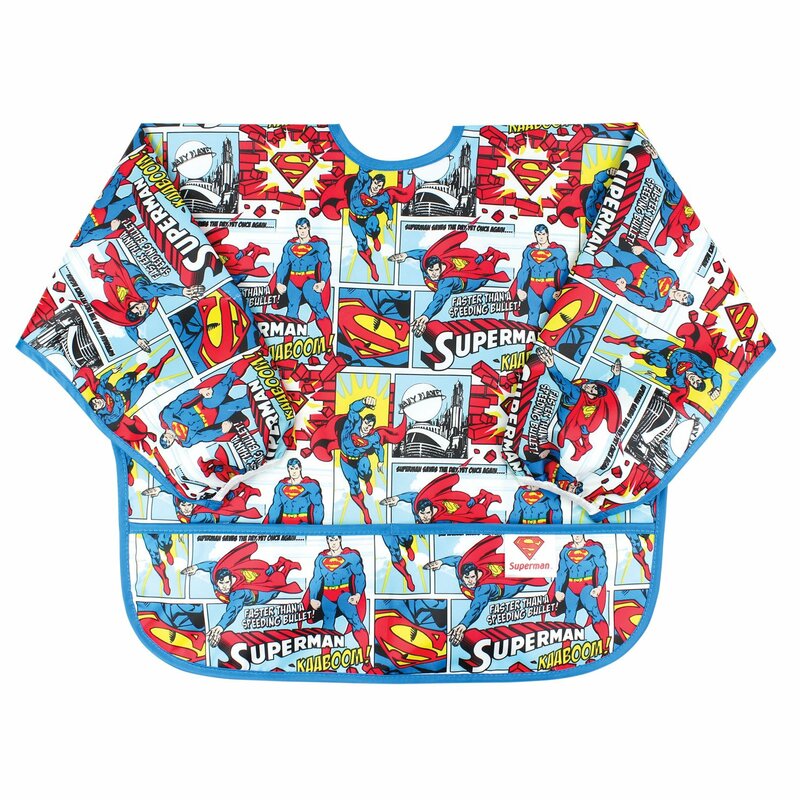 Don't settle for sub-par bandana bibs with surged edges that unravel. 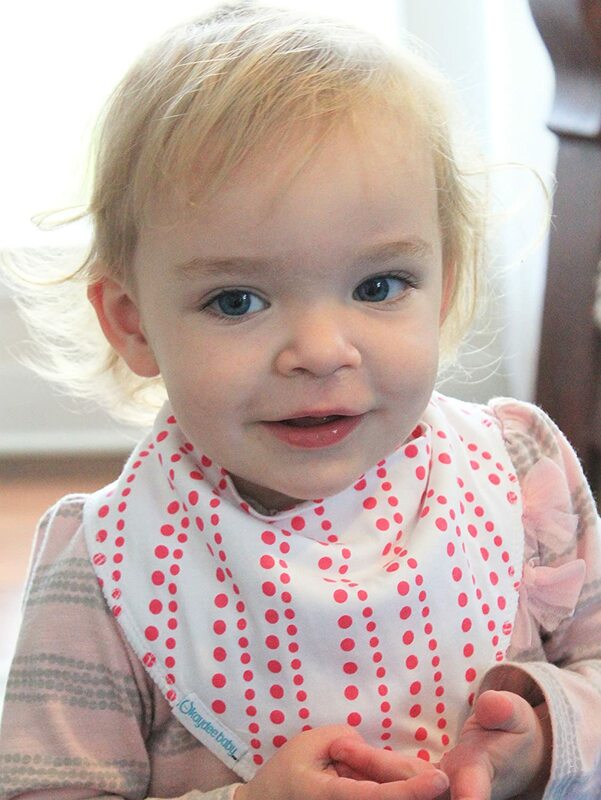 bibs have been around for 4 years. 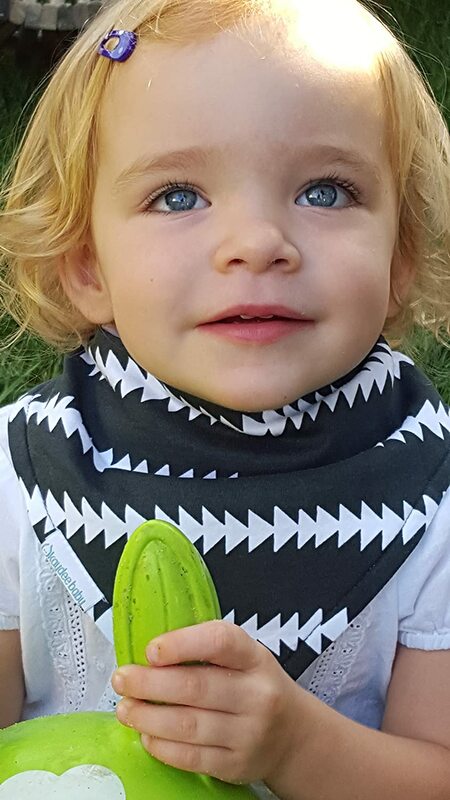 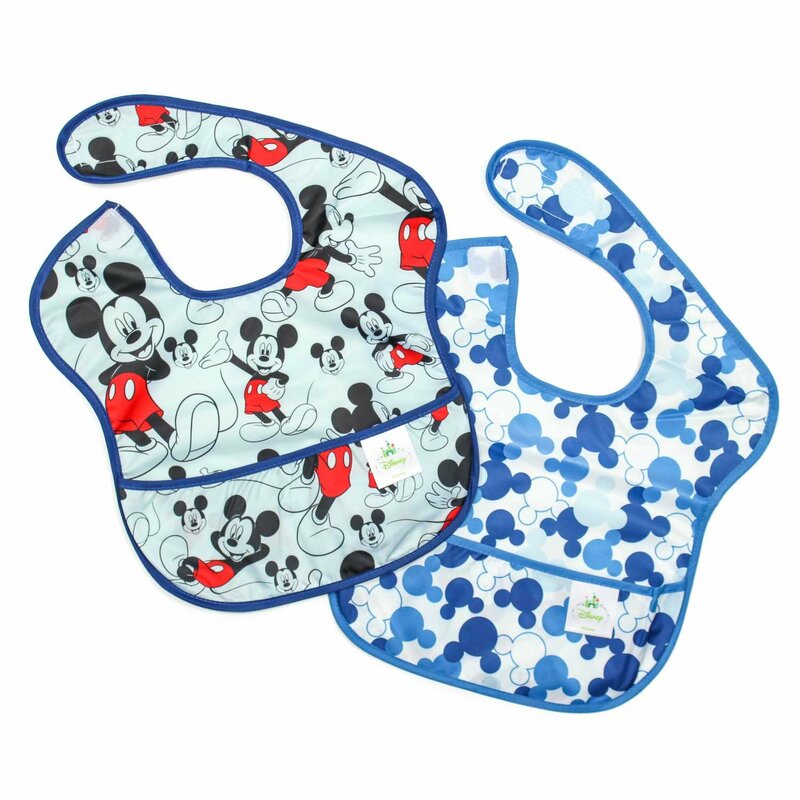 Just read what some of our customers have had to say about our bibs. 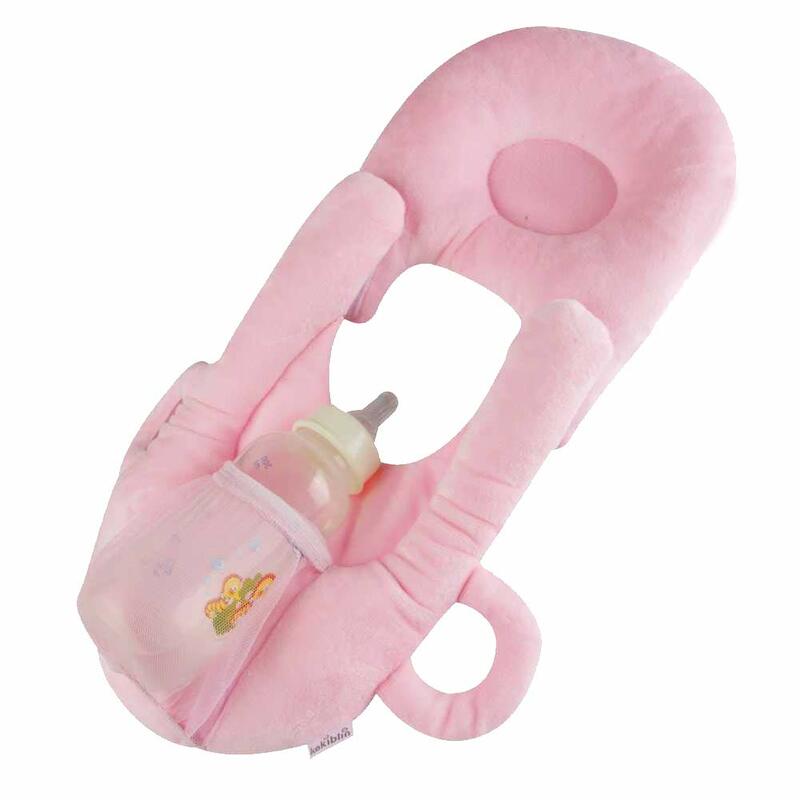 With over 632 FIVE Star Reviews, this is a brand you can trust. 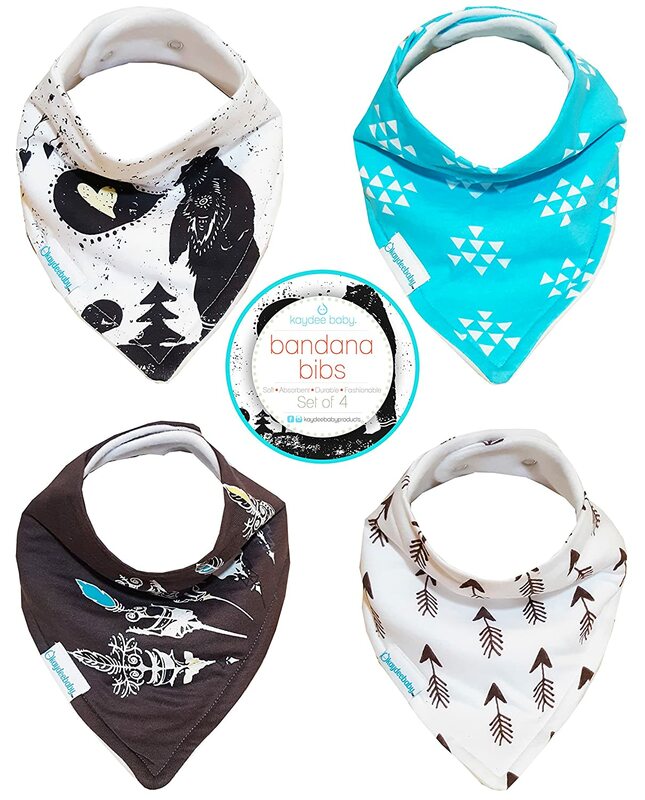 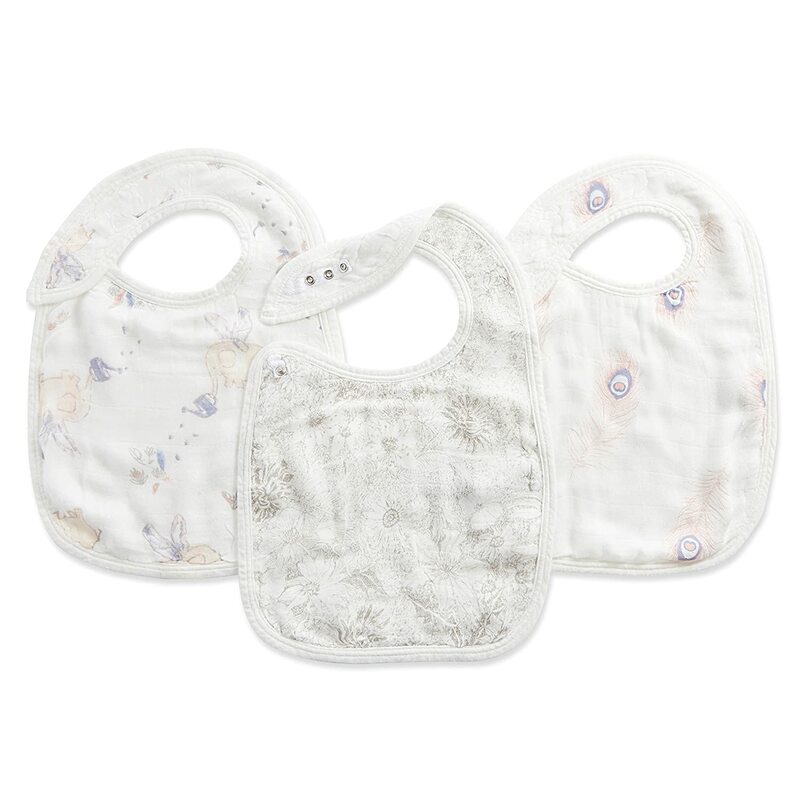 guarantees you will LOVE these bibs. 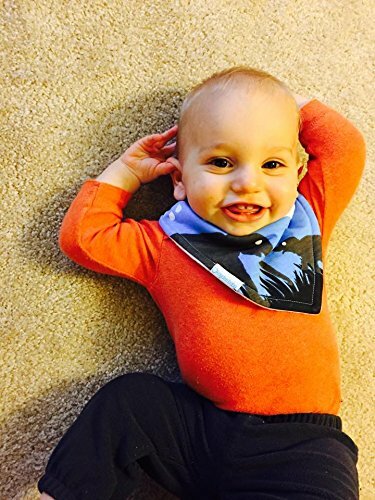 If you do have a problem, simply contact us and our friendly customer service will take care of you right away! 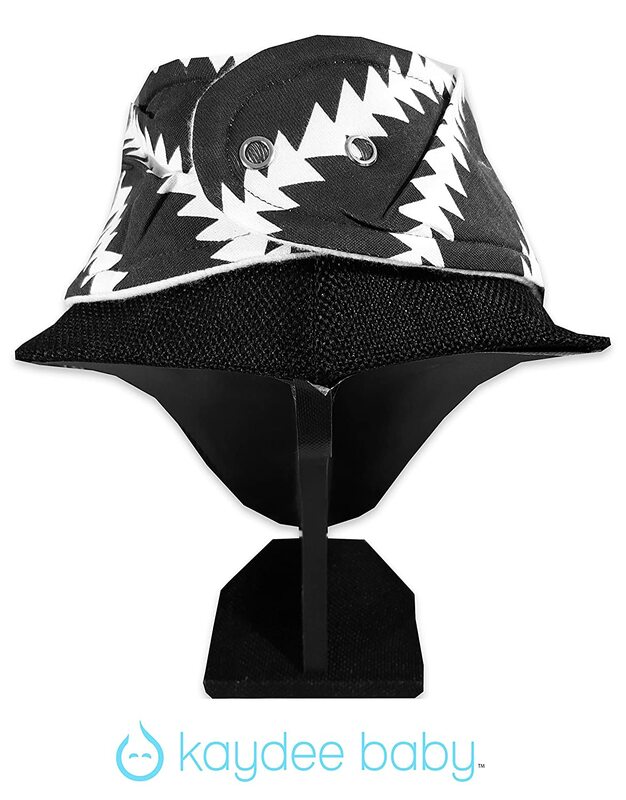 So do yourself and favor and click the add to cart button!